The Consumer Protection Act provides protections for consumers, including tenants and prospective tenants of residential property. Some of these protections include mediation, arbitration, and litigation, which is provided by the Consumer Protection Division (Office of the Attorney General). The Consumer Protection Division may also perform independent studies, investigations, and public education. When does the Consumer Protection Act apply in a lease? The Consumer Protection Act only applies to a lease at the time that the consumer enters into it. Read the Law: Richwind Joint Venture v. Brunson, 335 Md. 661, 683 (1994). Consumer: an actual or prospective purchaser, lessee (tenant), or recipient of consumer goods, consumer services, consumer realty, or consumer credit. Consumer realty: real property that is primarily used for personal, household, family or agricultural purposes. Merchant: a person (landlord) who directly or indirectly either offers or makes available to consumers any consumer goods, consumer services, consumer realty, or consumer credit. Advertisement: the publication or circulation of any oral or written matter that directly or indirectly tends to induce a person to enter into an obligation, sign a contract (a lease), or acquire title or interest in any merchandise, real property, intangibles, or service. “Advertisement” includes every device that disguises a business solicitation by using a word such as "renewal," "invoice," "bill," "statement," or "reminder" to create an impression of an existing obligation if there is none, or other language to mislead a person in relation to a proposed commercial transaction. What types of actions or practices violate the Consumer Protection Act? A merchant may not engage in any “unfair or deceptive trade practice” when renting, selling, or offering to rent or sell consumer realty. These practices are illegal whether or not the tenant is actually deceived or tricked in any way. What is an “unfair or deceptive trade practice”? Use of a confessed judgment clause in a contract, including a lease, which waives the consumer's right to use a legal defense. What types of services does the Consumer Protection Act not apply to? A television or radio station, or a publisher or printer, who broadcasts or prints an advertisement that violates the law, unless the station or printer or publisher knew the advertisement was in violation, or engaged in an unfair or deceptive practice in the sale or offering of its own goods or services. What should I do if I believe my landlord has violated the Consumer Protection Act? A landlord who violates the consumer protection laws may be liable for civil penalties. The landlord is also guilty of a misdemeanor and is subject to a fine of up to $1,000 or imprisonment of up to 1 year, or both, unless another criminal penalty is specifically provided elsewhere. 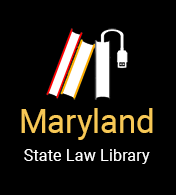 For more information, including how to file a complaint, contact the Consumer Protection Division at the Maryland Office of the Attorney General. Call toll-free at 1-888-743-0023 or visit their website. A tenant (consumer) who is a victim of a deceptive practice may bring a lawsuit to get payment for losses he or she may have had as a result of the deceptive practice. In addition to this payment, a judge may give the tenant attorney’s fees if the tenant’s lawsuit is successful.